'Singer Song Writer Idol' Jeong Sewoon has successfully presented his comeback stage at ‘M Countdown’. Jeong Sewoon has presented the stage with his new song of the new mini album ‘±0’ for the first time at ‘M Countdown’ of Mnet among the music broadcasting programs. On this day, Jeong Sewoon has completed this special comeback stage by presenting ‘Feeling (Feat. PENOMECO)’ together with ‘Distance’ fancier. Previously, Jeong Sewoon has released the new album ' ±0 ' on the 19th and has announced his successful comeback. On the day of its release, he spent happy comeback day through SHOWCON with his fans, and he also recorded 12 million hearts at his first Naver V Live show. 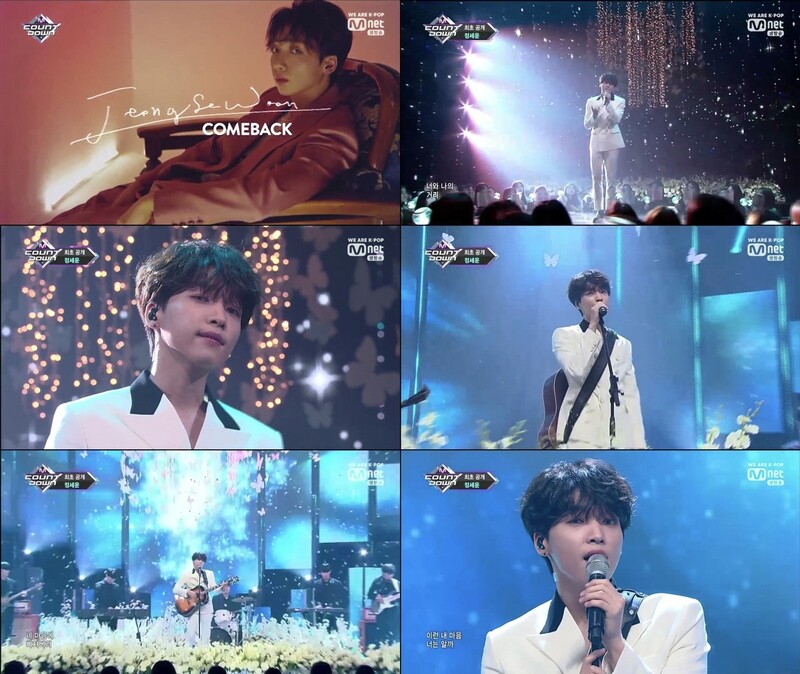 Meanwhile, Jeong Sewoon went up the comeback special stage of ‘Music Bank’ of KBS aired at 5 o’clock on the 22nd afternoon.